Figuring out the correct delivery method for SEAL can sometimes be a challenge.Delivery methods differ based both on your library, and the library you are sending materials to. 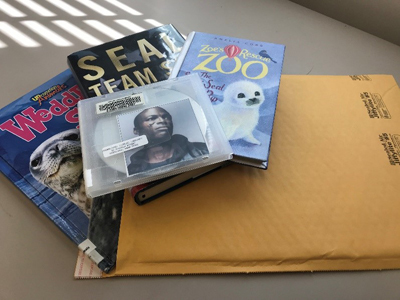 Some libraries are able to take advantage of pre-existing delivery infrastructure to send SEAL items. For example, Mid-Hudson and RCLS libraries can send materials back and forth to one another using their couriers, which meet twice a week to exchange items. Several libraries using SEAL are participants in Empire Library Delivery (ELD), a statewide delivery service managed by the 9 library resources councils. SEAL libraries that are members of Empire Library Delivery can use the service to send items to other member libraries. RCLS and Mid-Hudson are both members, in addition to several of the academic libraries using SEAL. All other deliveries should be made using typical shipping methods such as UPS, USPS, or FedEx. This will be the most common method when sending items to and from school and special libraries. The boxes on this page provide more information on each of the different methods available. MHLS and RCLS member libraries should use their system courier with a routing slip to send items to ELD libraries. (See individual sections for details). All others should package and send items according to the regular ELD guidelines. Mid-Hudson Libraries have a few different delivery options available to them. You can use the system courier to send items to RCLS member libraries. You can also use the courier to send items to participants in the Empire Library Delivery (ELD) program. See the instructions below for more information. Check to see if the item belongs to an RCLS member library, or one of the academic libraries participating in Empire Library Delivery. Search the SEAL directory to see which system a library belongs to. You can also see all RCLS libraries here. For a complete list of ELD libraries, see the roster, or the current list in the ELD section of this page. If they are not an RCLS member or a participant in Empire Library Delivery (i.e. a special library, school library, etc. ), you will need to send it using UPS, USPS, or a similar method. For more information, see the Mid-Hudson Resource Sharing Guide, which has information on delivery with SEAL, as well as some general MHLS ILL procedures. You can also mail items through traditional shipping methods such as UPS, FedEx, or USPS. There is no standard or required vendor for SEAL users; instead, you should choose the company that best meets your library’s needs. Use wrapping and packaging materials that are appropriate to the size of the material. Include cushioning materials if there is any extra space within the package. Use an address label that has clear delivery and return information. Cover the addresses with clear tape to prevent it from smearing or being damaged in transit. You can recycle shipping materials such as boxes and envelopes—just be sure to remove or mark out old addresses, postal marks, etc. Don’t use any shipping materials that are ripped, frayed, or otherwise in poor condition. Don’t use staples to close shipping materials. It is recommended instead to use reinforced packing or paper tape that is at least 2 inches wide.